Hello Lovelies! Are you passionate about releasing your creative side? Do you get excited about sharing your projects in beautiful photos to inspire and meet others in the crafting community. If this sounds like you, that is fantastic because I would love to have a few fabulous individuals to join the "Little Hot Tamale Creative Squad." Yay! Be apart of the private Little Hot Tamale Squad group, FUN! Tell me something you are excited about this year? Doesn*t have to be crafting releated. 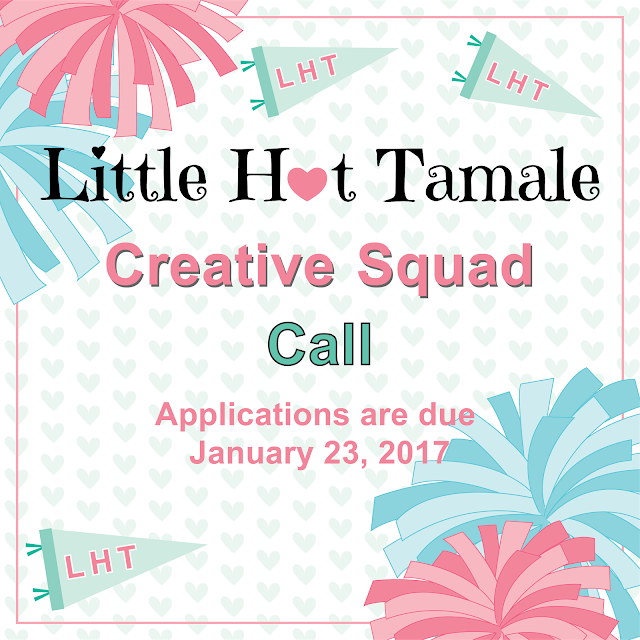 Thank you for considering applying to the "Little Hot Tamale Creative Squad." I hope you have an amazing day.